I use lamb neck fillets quite a lot because they’re a cheap but tasty and versatile cut of meat. I usually use them in curries and casseroles but this is something different and slightly posher. This would also work with pork fillets or chicken breasts. About 100g breadcrumbs, but use your common sense as to whether you need more or less than that. You’ll also need some string. Pre-heat the oven to about 180C/350F and cut 6 or so lengths of string, long enough to tie round a fillet. No faffing about here – just mix together all the ingredients except the lamb. The egg yolk will bind it all together and it should be squidgy but not particularly wet or dry. With a knife, slit the fillet open but don’t cut all the way through. 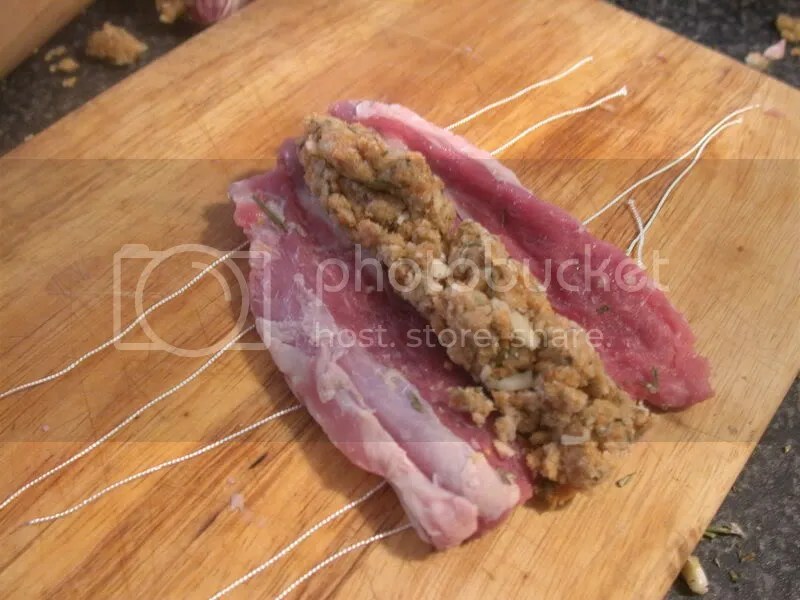 Lie the fillet onto the string and put the stuffing down the middle of it as in the picture above. Tie the fillets up with the string. Heat some oil in a frying pan until it’s very hot and fry the fillets quickly on all sides. You’re not trying to cook it through, just give it a nice brown colour on the outside. Once upon a time chefs would have told you this was “sealing” the meat but we all know now this is rubbish. You are in fact subjecting it to the Maillard browing reaction. Once they’ve got a bit of colour, put the fillets into the oven for about 20 minutes. As it’s lamb, it doesn’t need to be cooked through and is nice when it’s a bit pink on the inside. If you’re using pork or chicken, you might need to leave it a bit longer to make sure it’s fully cooked through. Cut off the string and serve it up. Ta dah. 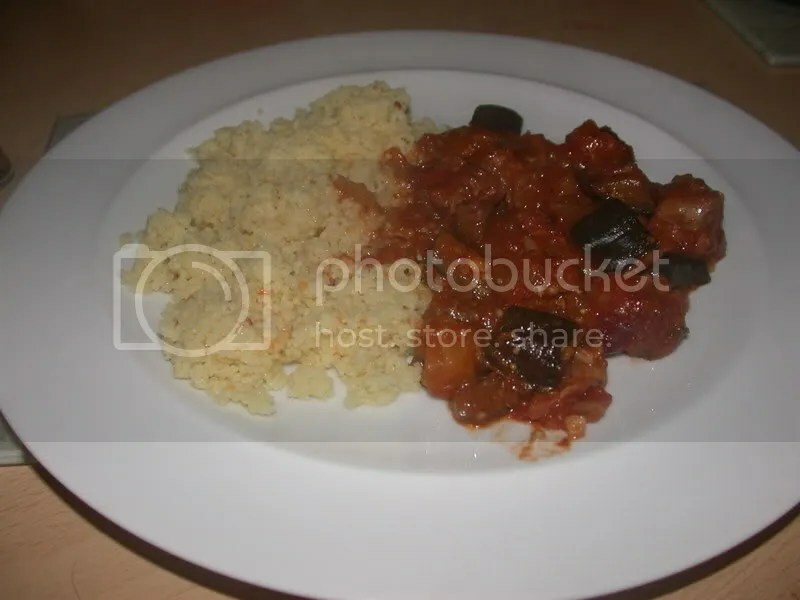 We had ours with couscous.